Aquascape Liquid Barley Straw Extract for ponds provides a natural method of clarifying pond water. 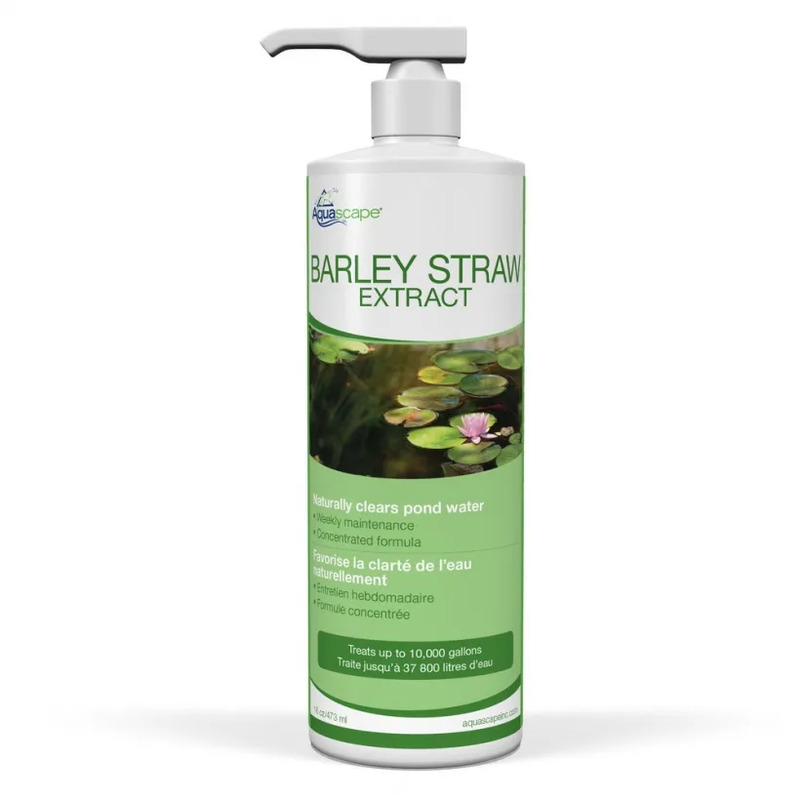 Barley straw has been used for hundreds of years to promote clean and clear water conditions in ponds and streams. 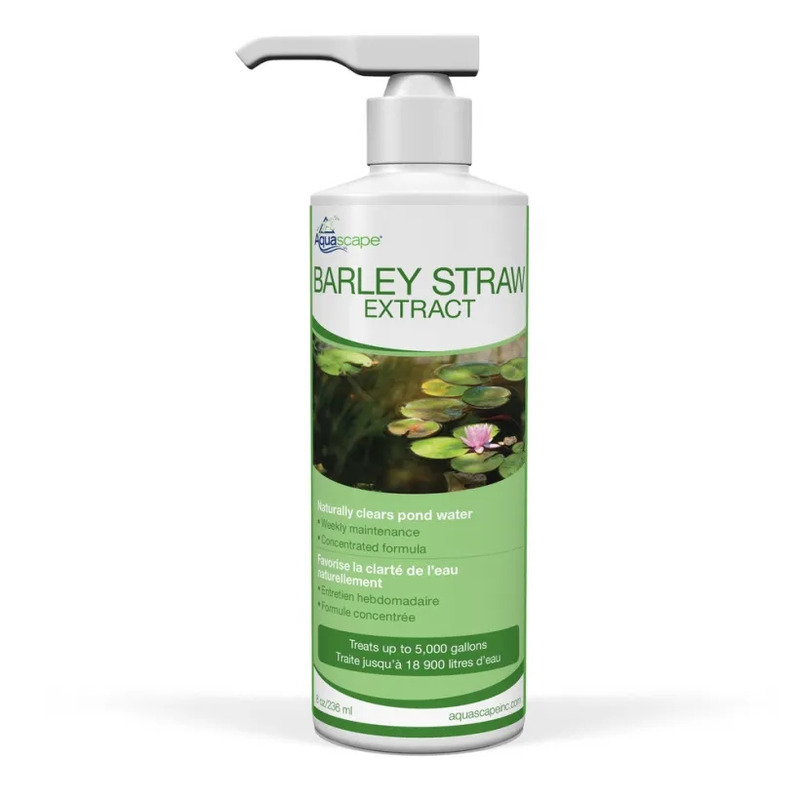 Now, you too can take advantage of this natural method without the hassle of dealing with barley straw bales, a typically messy process. 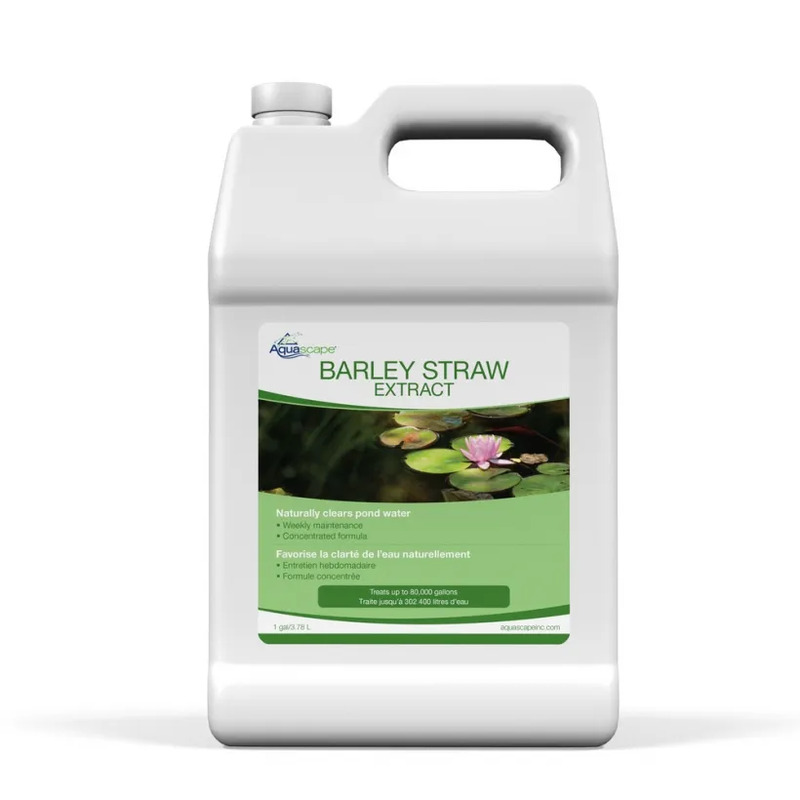 Aquascape Barley Straw Extract starts working instantly and the concentrated formulation contains added enzymes to help break down sludge and clean filter pads, significantly reducing maintenance. 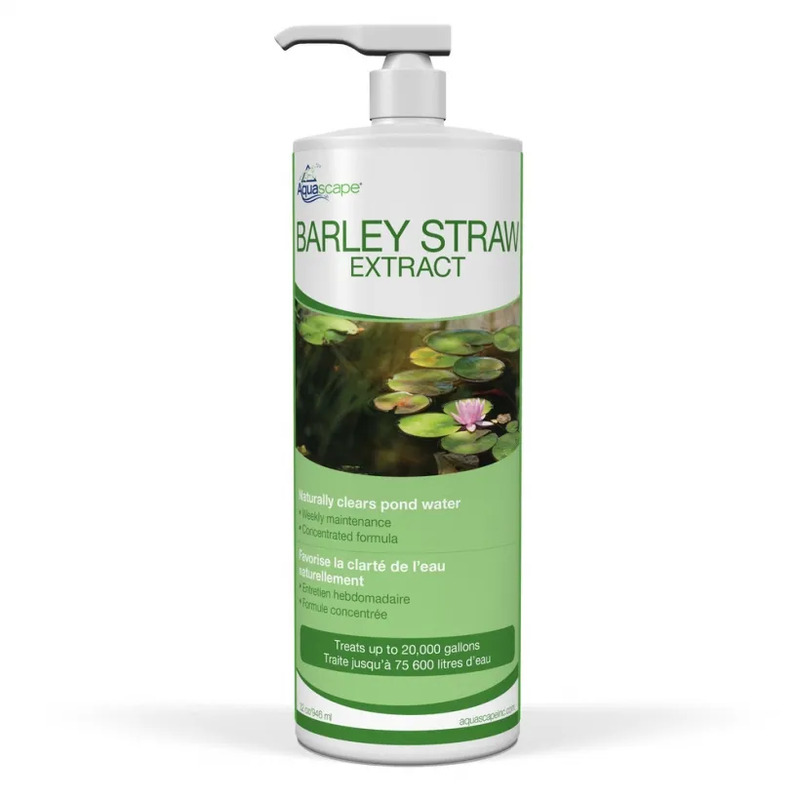 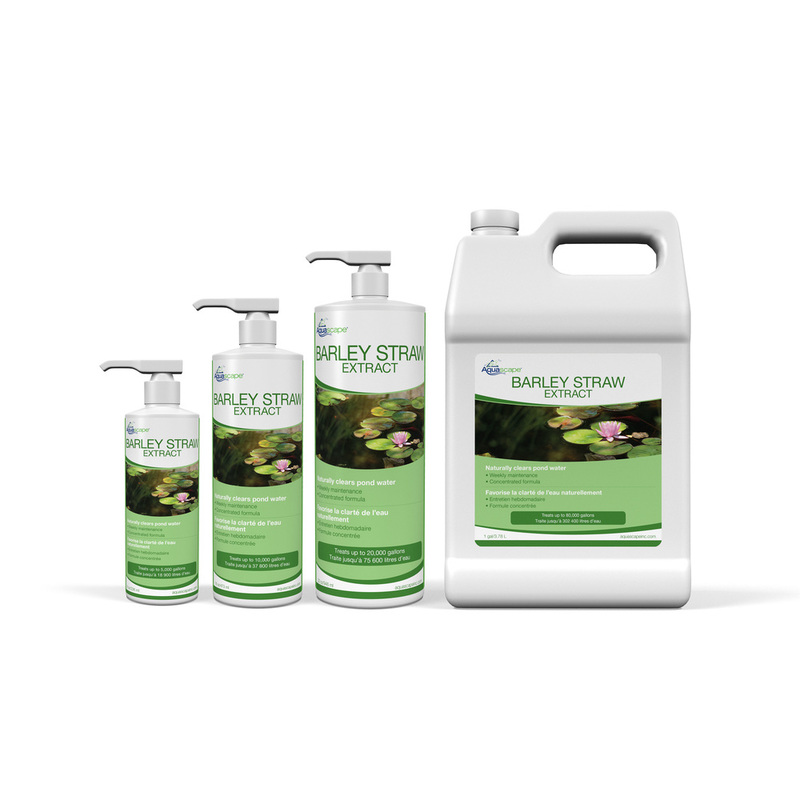 Our Barley Straw Extract is safe for fish, plants, pets, and wildlife.